Looking for an unbelievably good way of keeping your home or office dust free? 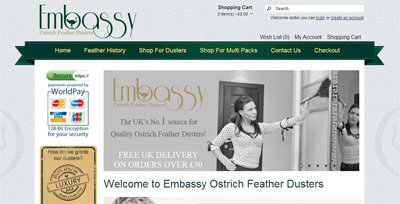 Well then, check outEmbassy Feather Dusters. Horizon Blinds & Shutters new website is now live.